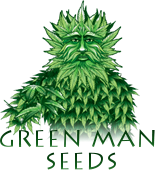 Grow Medical Marijuana with Greenman seeds. We have the best selection of premium medical grade medical cannabis seeds at affordable rates. We are here to help those in need. if they somehow get lost in the mail, and no one gives you a second thought except a few rare seed banks. head, we are curious to see if they will change their stance on federal drug policy, specifically in regards to cannabis.